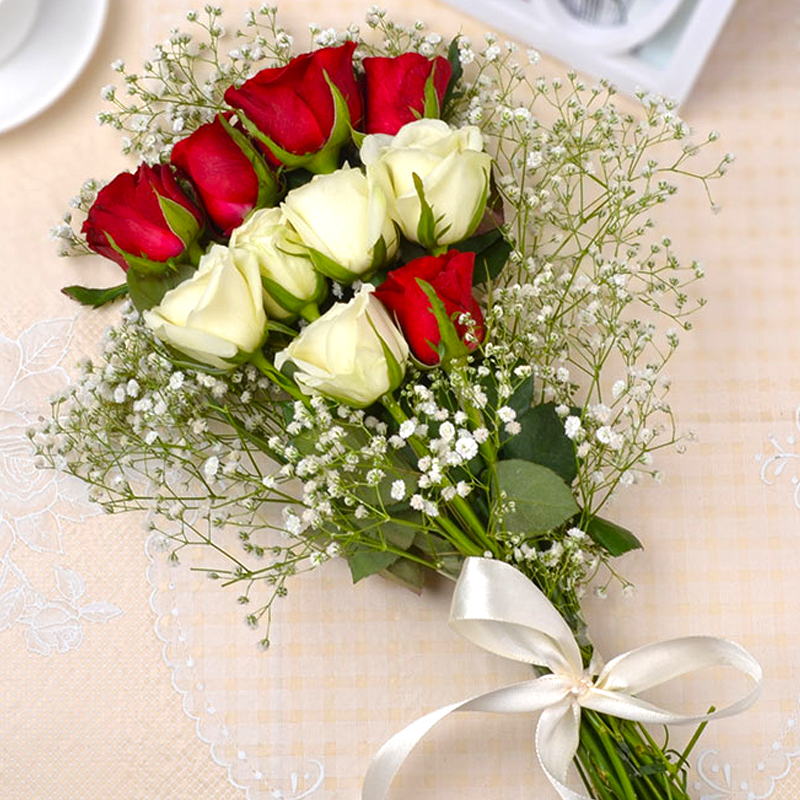 Product Consists: Bouquet of 10 Red and White Roses with lots of green fillers. Beauty of Roses always work wonders, no matter what the event or occasion is. So if you want to take the good old route to please your loved ones, roses will never fail you. 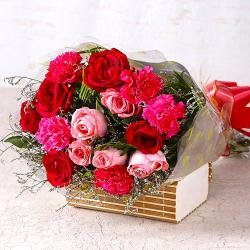 This bouquet with freshly blossomed red and white roses wrapped in a cellophane paper is sure to melt anybody s heart. 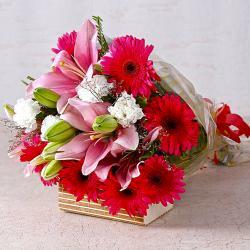 The bunch is wrapped in a way that holds them in place and lends them an even more appealing look. 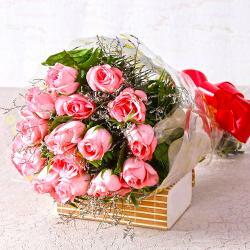 You can delight your dear one on various occasions like Birthday, Anniversary, Missing You, Ganesh Chaturthi, Boss Day etc. 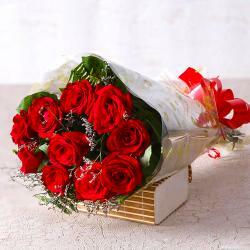 Product contains : Bouquet of 10 Red and White Roses with lots of green fillers.